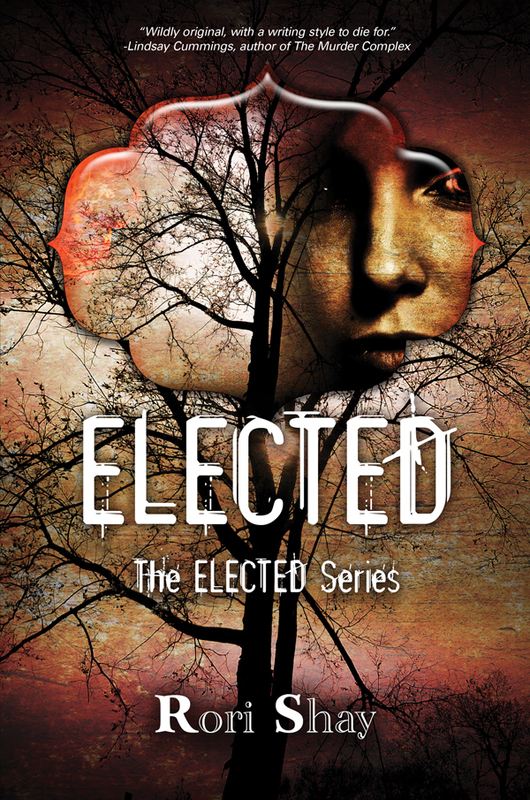 Editor’s Note: Rori Shay and a Blog Tour stop for her new book ELECTED! H ey folks! Thanks for dropping in today to read about Rori Shay’s experience with editors (yep, it’s plural), and her new book ELECTED. But before we dive into her interview, there’s another part of Rori’s story that is both heartbreaking and motivating. Rori received an offer on her manuscript, went through the editing process, got a cover, prepared marketing materials, and then BAM! Her publisher shut their doors just a few weeks prior to her release date. (Remember, the heart break I mentioned? I can guarantee that’s what it would feel like). But, Rori was determined her book would go out on schedule and with the help of Silence in the Library, a small independent publisher, ELECTED released on Earth Day (you’ll understand the significance when your read the synopsis below her interview). All right. On to the interview! BW: Tell me a little bit about yourself and your book. RS: Sure! I write only part-time and actually wrote the first two books of the ELECTED trilogy on maternity leave. I live in the Washington, D.C. area with my husband, kid, 90 lb black lab Gerry, and long-haired cat, Misch-misch. I love reading fiction–it’s like eating to me. Storytelling has been in my blood since I was young and my parents read me books each night. I made up stories even all the way back to kindergarten, and my mom wrote them down until I could write them all myself. ELECTED is about a girl who has to masquerade as a boy to take her country’s presidential role in the future. It’s set in Washington, D.C. after a global eco-crisis left the earth pretty destitute. Aloy has to conceal her gender to take her father’s place as the ELECTED and marry a woman to keep the cover. The story has a love triangle, but instead of the typical girl and two guys, it’s a love triangle with both a girl and boy liking Aloy. BW: When an offer is made on your manuscript, do you get to talk to the editor right away? Do they give you an overall vision for the story or do they wait till the editorial letter? RS: In my cases (two publishers) I talked to the editor right away. They’re the ones determining if they want to work with the story and selling it to their publishing team, so they talk to the author early on. Yes, you talk about vision for the story right away so you know as the author if you want to sign on with them. If they want to make drastic changes in storyline you might not be up for that. So it’s a discussion right from the beginning. RS: This question is a complicated one for me. I’ve had so many different editors, and they never exactly used a “letter”. It was more changes made right in the body of the text, and I look at it all once really quickly and then go through item by item. BW: How have you seen your writing change as you’ve worked with an editor? RS: Definitely! I’ve learned so much about style and filling gaps in the storyline. My editors have all been fantastic! BW: Is there any step/trick/secret you learned with your first novel that you will apply to all the others? Any specific mistakes you know now to avoid? BW: Can you give us one special piece of wisdom that will help our manuscripts sparkle? Or maybe a hint of what you think editors are looking for? RS: Hmmm..one piece of wisdom…I think it’s the answer for number 5–writing for all the senses. Not just saying something happened but showing it and letting the reader picture it all in their imagination. BW: I love visceral writing! The kind that can make you smell the flowers in the air and taste the macaroons (or…whatever). Thank you so much, Rori! The Kickstarter to this book will be available today here. You will be able to get a copy of ELECTED in hardcover and/or paperback with a free ebook, a lot of special limited-edition items and other free books. Don’t wait, get your copy today! Blurb: It’s the year 2185, and in two weeks, Aloy will turn eighteen and take her father’s place as president of the country. But to do so, she must masquerade as a boy to avoid violating the Eco-Accords, four treaties designed to bring the world back from the brink of environmental extinction. Aloy hopes to govern like her father, but she is inheriting a different country. The long concealed Technology Faction is stepping out of the shadows, and as turmoil grows within her country, cryptic threats also arrive from beyond the borders. About the Author: Rori Shay is an author living in the Washington, DC area with her husband, daugh-ters, black lab, and cat – just not quite in the same exciting circumstances as ELECTED’s main character, Aloy. She enjoys running, gardening, reading, doing yoga, and volunteering with the Dwelling Place non-profit. Rori is a member of the Society of Children’s Book Writers and Illustrators (SCBWI). That’s a good twist! Congratulations to Rori! Thanks so much for doing this fun interview with me, Becky!